For many Crossfitters, this gymnastic exercise is one of the most desired goals within the long-term training process. These tips are for kipping Muscle Ups only. The strict Muscle Up is harder to achieve. The kip allows you to generate force that is used to propel your body through the movement of the exercise. With the strict version, all the force comes directly from your muscular power and strength. 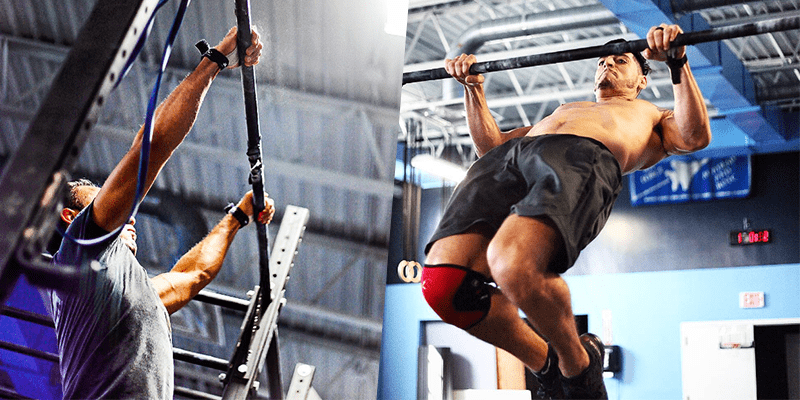 BAR OR RING MUSCLE UP: WHICH ONE COMES FIRST? So which one is the most beginner-friendly? Which should I aim for? The answer to this question really varies from athlete to athlete. While one person may perform several unbroken Bar Muscle Ups with ease without being able to do a single Ring Muscle Up, for others the reverse can be true. It comes down to your personal strengths and weaknesses. Often the Ring Muscle Up is considered to be the less challenging version in terms of strength, since the rings can move freely and, with a strong kip, be pulled into an optimal position for you to ‘catch’ the swing before you lock into the dip position. On the other hand, the shoulders have to do a lot of stability work in the catch and the dip. The bar provides more stability but also demands more pulling strength. Make sure you get on a bar like this one, without knurling, otherwise you run the risk of tearing your hands! 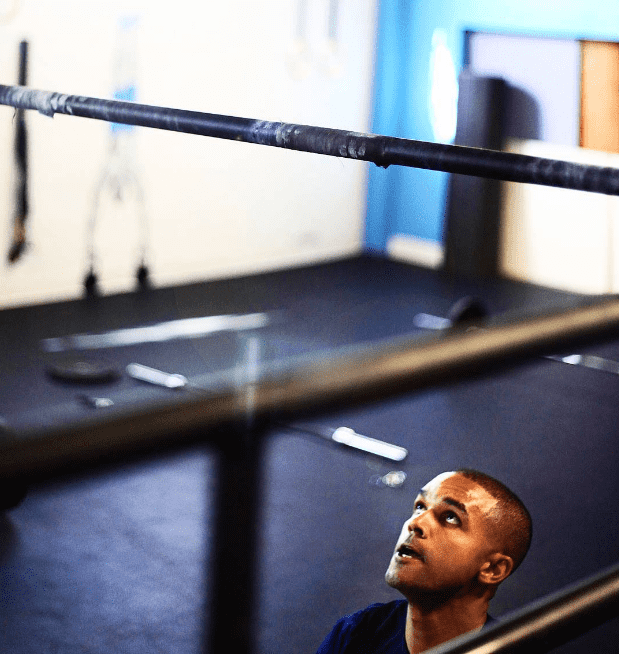 If you have strong shoulders (good performance in ring dips can be an indicator of this) and perform well in explosive and challenging movements that require a high degree of coordination, you might find the Ring Muscle Up easier than the Bar Muscle Up. If you have deficits in explosive kipping movements but a strong pull, you’ll most likely master your first Muscle Up on the bar. In this article we will concentrate on the version that was found in The Open 2016, and that might occur again in this competition: Bar Muscle Ups. The Muscle Up is clearly not a suitable exercise for someone who is totally new to gymnastics. The exercise combines a strong Pull Up with a stable Dip, a dynamic kip and perfect timing. These numbers should only serve as a rough guide. Every human is different and weaker athletes can often compensate any strength deficit with good technique. The reverse is also true although your end goal is obviously to develop both of these elements of your fitness. A properly executed Muscle Up is truly enjoyable to watch! However, in the beginning it can feel pretty exhausting, especially for the (fore) arms and shoulders. 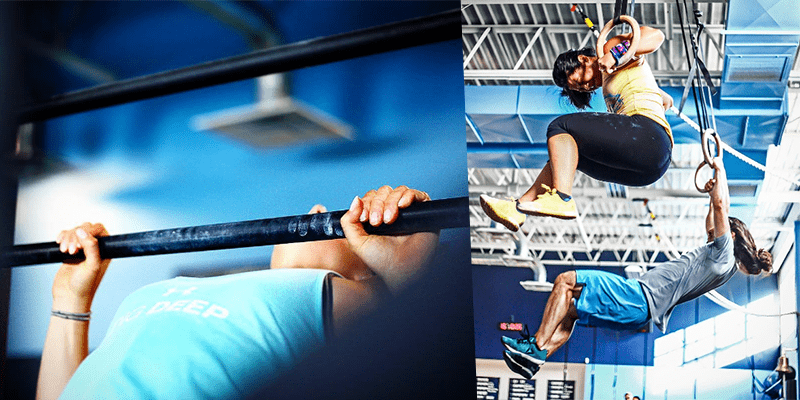 A perfectly timed kip is the key to efficiency and bar muscle ups in unbroken sets. Start the kip from the free hang. Be tight and kip aggressively. Swing forward into a solid archer position. Swing your body back into the hollow rock position. Stay tight! Engage your lats. Imagine that you want to pull the bar towards your chest and beneath as if it was movable. Engage your hips, push them towards the bar. A weightless moment should be created by doing so. Perform an extremely fast sit up to bring your upper body over the bar. As long as you have a basic level of strength, the Bar Muscle Up is more or less a question of understanding the rhythm. Executing the transition at the right second requires some practicing, but once you get the feeling for this, results will follow. As per usual, doing strict gymnastic exercises (Pull Ups, Chest2Bar, Dips) to build up strength and practicing the kipping movements is great preparation for nailing your (first) Muscle Up. Besides that, there are scaling options and progressions – find the one that feels most helpful to you. As for the pull up, you can do the Bar Muscle Up band assisted. Note: The usage of bands in gymnastic progressions in general has its supporter and critics as it doesn’t provide a natural, even allocation of force and doesn’t give much support on the top part of the pull – when it actually becomes tricky. Another option is to tie the band horizontally between two uprights of the squat station and stand on it. 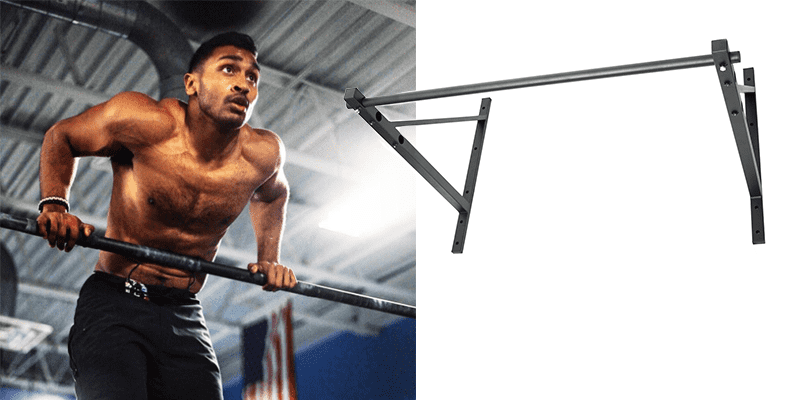 Have the bar at a comfortable height that allows you to Muscle Up by using the momentum of the supporting bounce. You can also place a barbell on the squat rack, approx. at the height of you belly button. Place your feet on a box, bench or stack of plates. The bar should be above your hip when you lie down your whole body down in a “banana like” posture. Grab the barbell and practice the push from the hip from that half-hanging position. The muscle up requires patience! Depending on your athletic background and foundations, the first successful try can take anything from weeks to months. But this was also the case when you learned how to walk. Or to read and write. Stick to it and you will be rewarded sooner or later. One last thing to remember as well – have fun with your training and enjoy yourself! 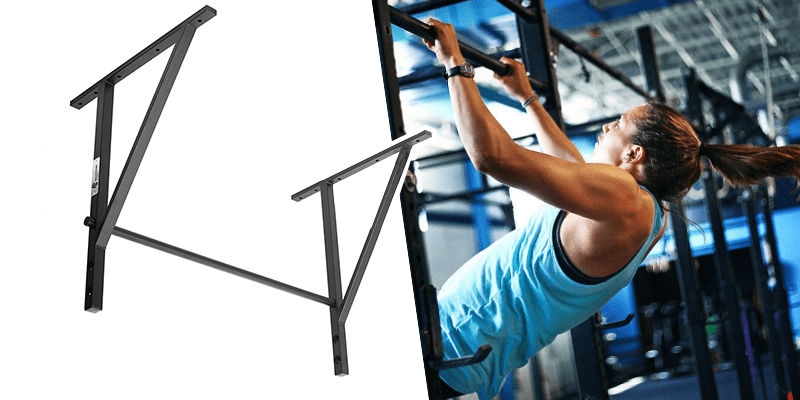 Improve your Muscle Ups now!